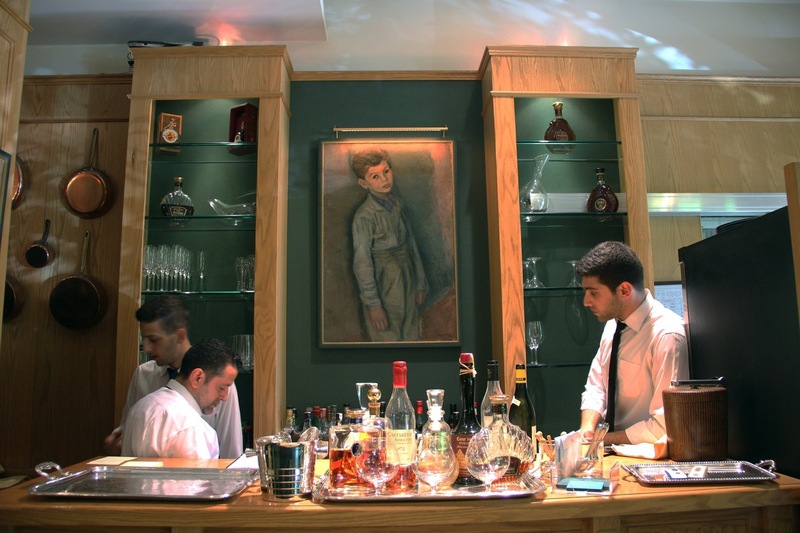 The French and the Lebanese have history, not all of it happy. 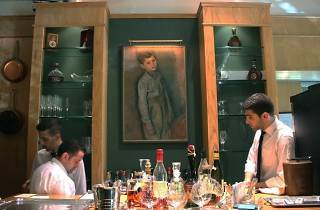 Yet today, the panoply of French restaurants in Beirut stand as a testament to the more salutary aspects of the colonial relationship. As with the city’s Italian restaurants, these come in all sorts, sizes and fashions: fancy, cheap, cosy, vast, decked out in nostalgic Empire style or snazzy modern decor. 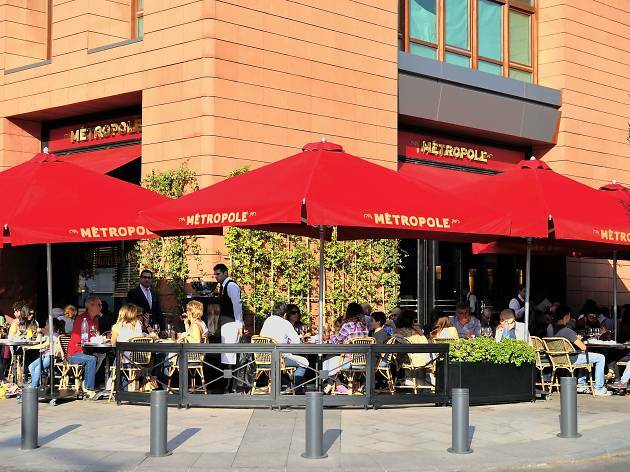 Homesick Parisians can take refuge in Metropole’s faithfully recreated brasserie atmosphere, while those looking to mark a special occasion should book a table at the extravagant Chez Jean-Claude. 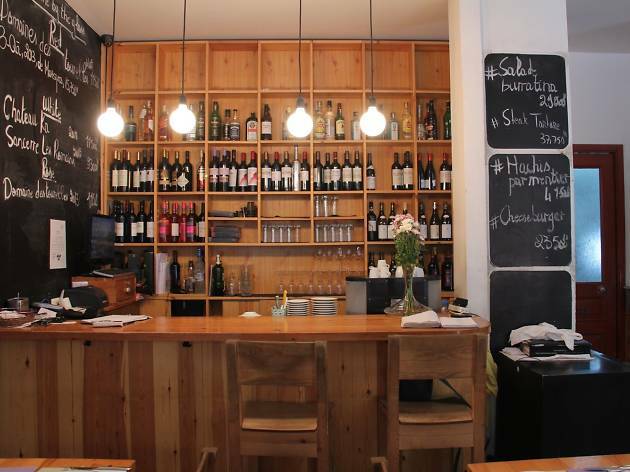 These restaurants are a tad pricier than the Beirut average – but given the range and quality of Gallic cuisine on offer, that’s only fair. Bon appétit. 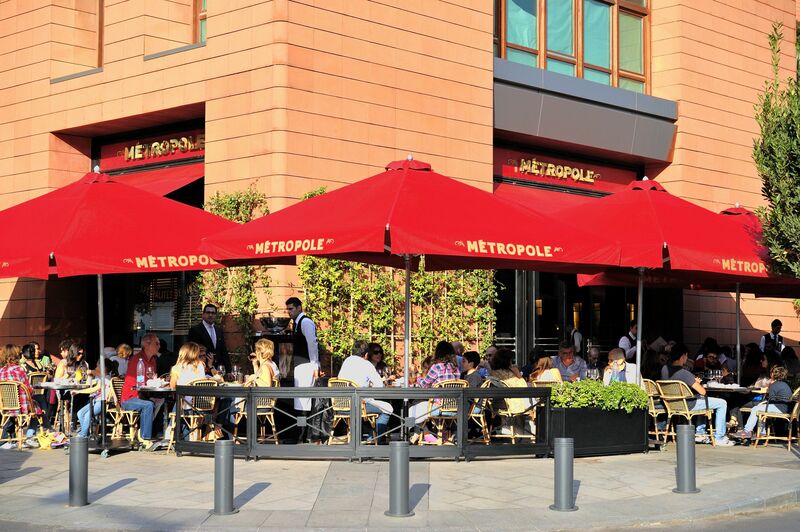 Balthazar is ideally located just by the main entrance to the Beirut Souks, which ensures that the outside tables are usually crowded with shoppers and people watchers. But don't be deceived by the outward appearance: this not really a casual café, despite the fine selection of pastries. 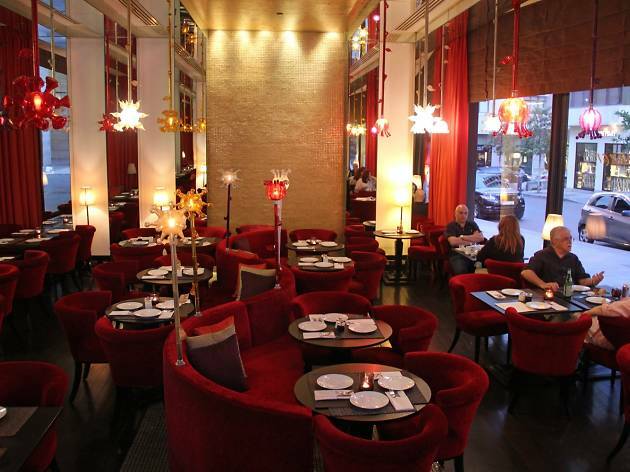 Inside, you're greeted with plush (if vaguely forbidding) black, red and gold decor – colours every bit as rich as the offerings on the high-end menu of French classics. Elaborately seasoned tartares and grilled meats put in an appearance alongside more neutral bistro fare such as burgers and halloumi salad. 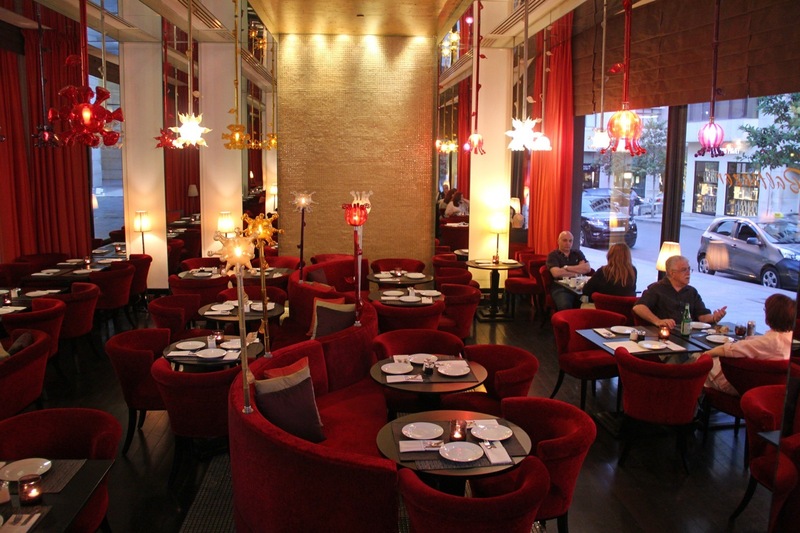 Balthazar is also a great place to sip an early evening cocktail. 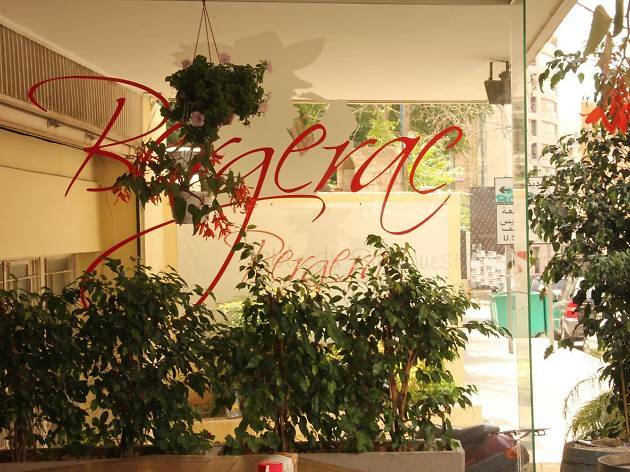 As the oenophiles among you may have worked out, Bergerac is a traditional French restaurant with a south-western spin. 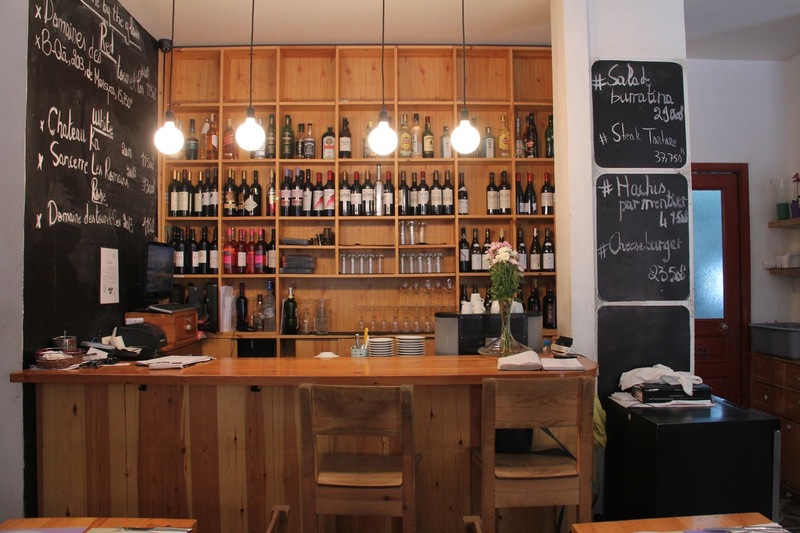 It's what they might, back in the motherland, call a "restaurant de quartier": the sort of rustic joint where hearty meals and casual vibes come before haute cuisine. 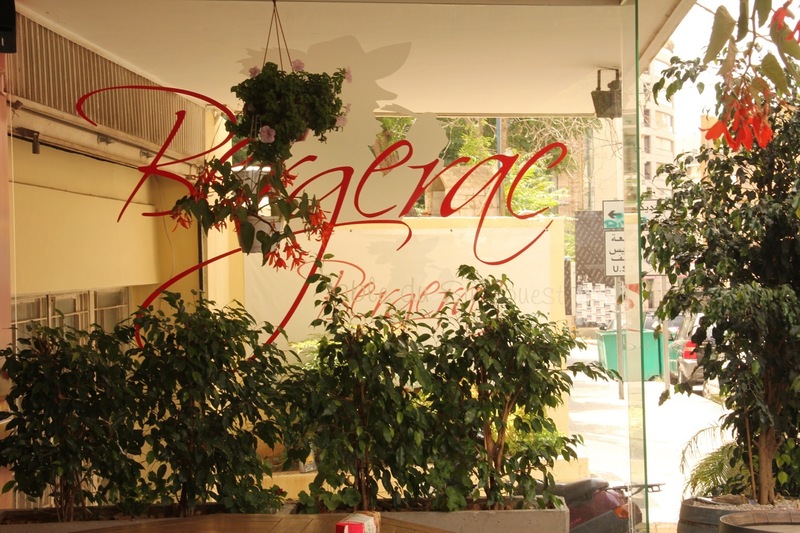 The dining area is rather cramped and the service can tip into Gallic impatience during peak hours, but this is all part of the #authentic experience: Bergerac doesn't pretend to be anything it isn't. And when the food is this good – the cheese this creamy, the duck this succulent, the (ahem) snails this tender – it doesn't need to be. If you can nab one of the limited outdoor tables, do. 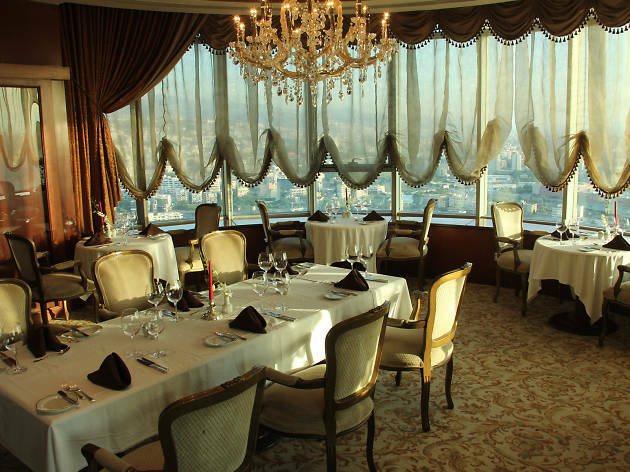 Le Ciel offers up all the refinement and bombastic opulence that you'd expect from the in-house restaurant of the Hilton Beirut Habtoor Grand Hotel. 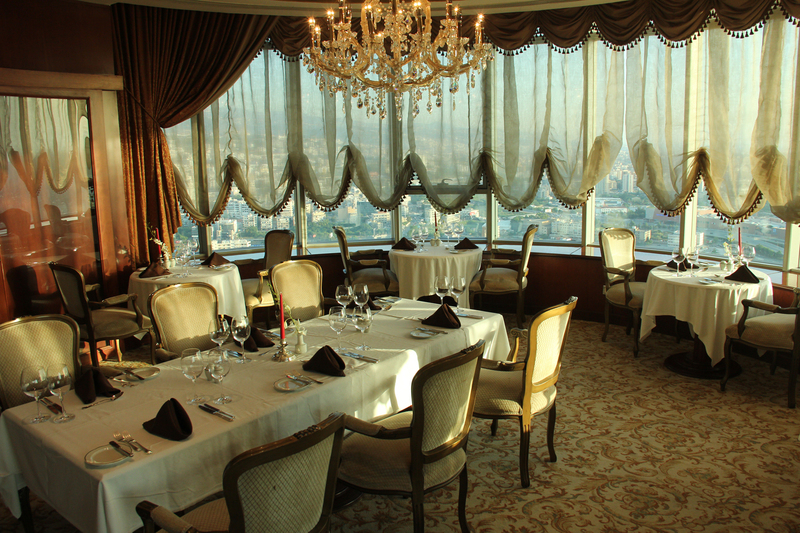 Its situation on the 31st floor of the hotel affords spectacular panoramic views of the Beirut skyline, and the white tablecloths and chandeliers channel the sort of decadent colonial chic that's been mostly extinguished in the rest of the city. 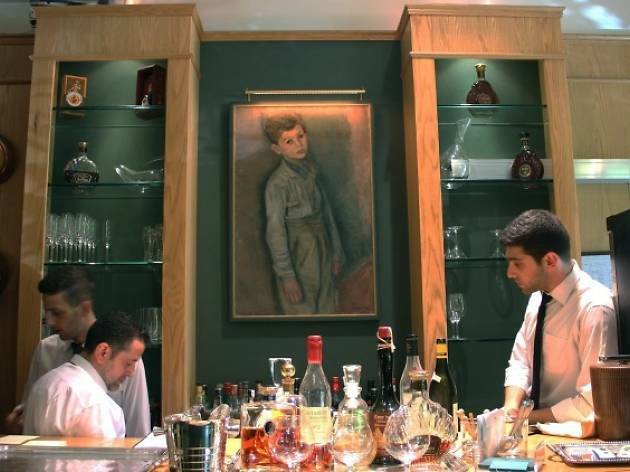 One for the nostalgics, then; but also for the gourmets in search of some first-rate French cuisine. Classic dishes and fine ingredients are the name of the game: a decent range of seafood, grills, salads and fromages is offered alongside a wine list à mourir. Sunday brunch is a treat, too – and under-12s get in for half price. Just make sure they're dressed in their Sunday best. 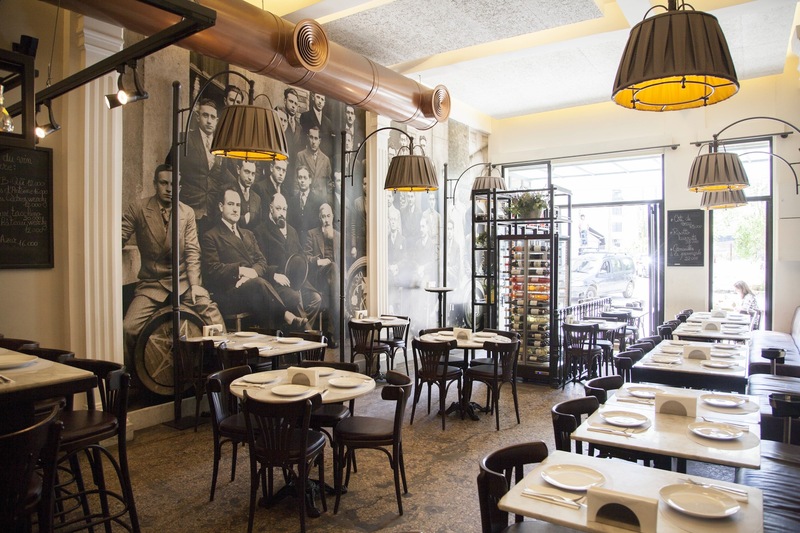 The sister of nearby favourite Acoté, Prune is another friendly, casual French bistro with a strong following among the Mar Mikhael yuppie crowd. 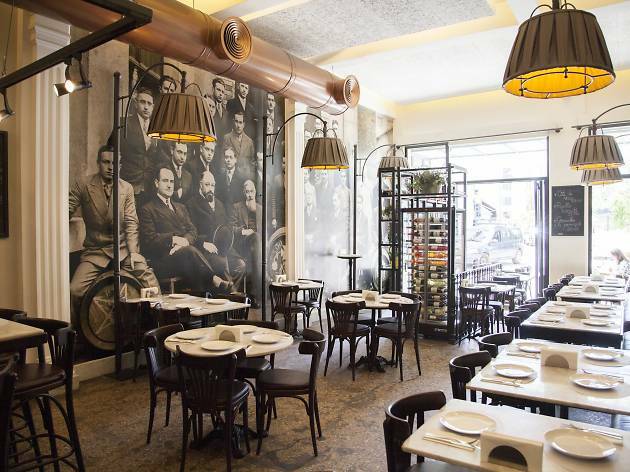 With its wooden furniture and marble tables, it's a slightly more traditional affair than its sister – although the sleek black decor and dwarfing vintage photos of centuries-old European dilettantes on the walls lend a self-consciously trendy air to the proceedings. 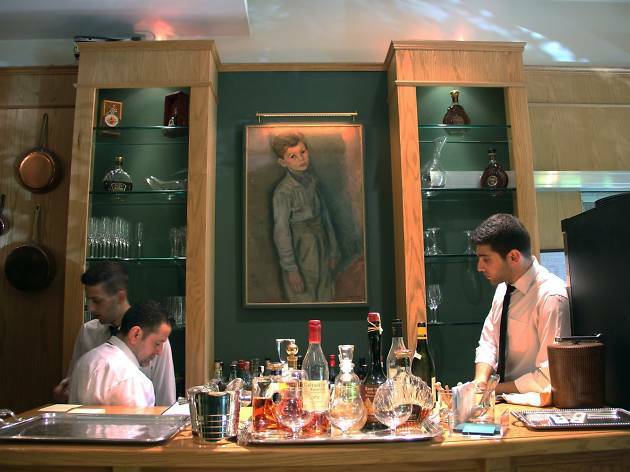 On the menu, you’ll find a comprehensive selection of classic French dishes, well prepared and eminently toothsome (we're especially partial to the onion soup). If you're feeling extravagant, know that Prune is one of the best restaurants in the city for oysters, which washes down well with a bottle of champagne.